The madness of miscarriage and stillborn babies. I remember the grief staring me in the face, the devastation, the hope and the expectation wiped away in a brief moment of confirmation. I asked the question that changed my worldview: how can God let this happen? Growing up in a stable family, financially secure, peaceful California weather, only deaths of relatives I saw once or twice a year, no illness, no injuries, no real suffering. And then this. I never imagined it could happen. I found out I was pregnant on St. Monica’s day. That same day a classmate shared with a group informally about her miscarriage at five months. What peace she had as she shared the story! Some Saturday two weeks later I began to spot. Not knowing spotting could be normal we went to the emergency room. Tests, sonograms, it’s early but maybe we’ll hear the heartbeat, could find the sack but not the baby, should go to my doctor on Monday for lab work, the practitioner with the least bedside manner, “yep, looks like a miscarriage.” The pause, the shock, how can this be? How can God let miscarriages happen? It’s an evil world, wracked with original sin. When the first two fell, sin entered the world, something in nature ruptured and we have death and disease. It’s senseless. That is what I came to know. The world was a different place. Heaven made sense and became something I could long for. I conceived again a few months later. She was healthy, perfect, a bit feisty. The pregnancy was easy, the labor was…well, not too bad considering labor, she was perfect with her little bent ear and squished face. She grew to look just like I did as a baby. She was our delight. 1 in 3 first pregnancies end in miscarriage. We don’t look at causes until another one happens because it’s so common with the first. Surely, if my firstborn could be born, then I was capable of carrying another. Another pregnancy, ill-timed, as we packed to move across country, no jobs secured, no home prepared. An act of trust; an act of acceptance. For Christmas I wrapped a blueberry in a box and gave it to my parents to tell them the current size of their next grandchild. Soon after the spotting began. I hadn’t even gone to the doctor. I tried, but they usually won’t see a woman so early. It hurt. I knew the day it was happening. 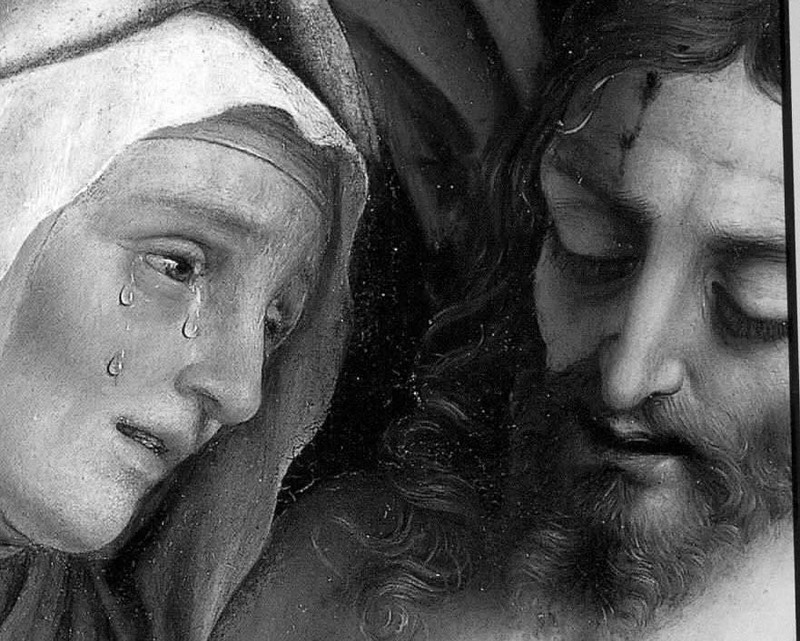 The first was lost the night between the Triumph of the Cross and Our Lady of Sorrows. Those memorials I cherished and eagerly read and meditated on in the Office of Readings. The impact of those days, I avoided the Divine Office for two years following. I’m glad I can’t remember what day Paul Joseph passed from me. We were able to bury him. My husband had some peace being able to do something for his child, which he could not do for John Marie. We called every priest we could for answers, “he’s a human being, we believe that, so you must bury him with dignity.” Calling cemeteries, they don’t understand, you need a death certificate, but he was never born. Finally, hope came from a compassionate woman at a funeral home and a Catholic cemetery. They understood. We buried him. I visit him on All Souls’ Day. I read a Grief Observed. Some healing came. The first appointment. 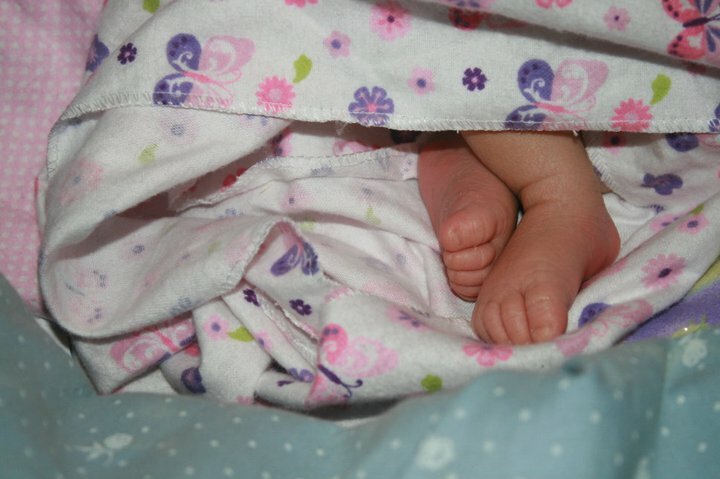 I shared my fears with the midwife. She found the heartbeat. “Now you can bond with your baby.” You don’t have to be afraid. He is alive. Did peace come? Somewhat. Another pregnancy. Would the pattern persist? Death, birth, death, birth…would this next baby die too? I kept the fears at bay. What else can you do? I nearly had a panic attack. But we made it through the first trimester. She’s kicking me now, soon to be born, though not soon enough, it feels, as every third trimester feels. Am I healed? Does a birth wipe away a death? Hardly. Never will I know that peace. Never will I be able to share without fear and devastation that I am pregnant while in the first trimester. Perhaps I will always envy those women who can. I don’t attend pro-life gatherings. I am scared to see photographs of the bodies of babies torn from the womb. I didn’t make it happen. Nature did, the brokenness of nature and the brokenness of a fallen world. But those images feel like the closest think I have to know what my babies might have looked like, had they grown just a little bit more. If women lose their babies later, my prayer is that they might have peace in holding their dead child, looking on him. I don’t know, it seemed to bring the other woman peace. The madness of miscarriage. No explanations will ever make it make sense. I can only look forward to Heaven. I will raise my children for Heaven. The world is a hard place, full of struggles. There are joys. The joys point us to Heaven. A father of a baby who died at five months gestation said this publicly, they had fulfilled their call with this child, they have given a child to God, and now their child is in Heaven with God. No natural consolation, only supernatural, in order to get us through. Update: How beautiful this is, a sculpture which truly portrays that moment of anguish.